There have been plenty of headlines recently about fake followers in both politics and entertainment. Everyone gets hit by a spam account here and there, but when a large percentage of someone's followers are fake, it can look pretty bad, especially with influential people being accused of buying their followers to look more popular. Want to find out if you have any fake followers? 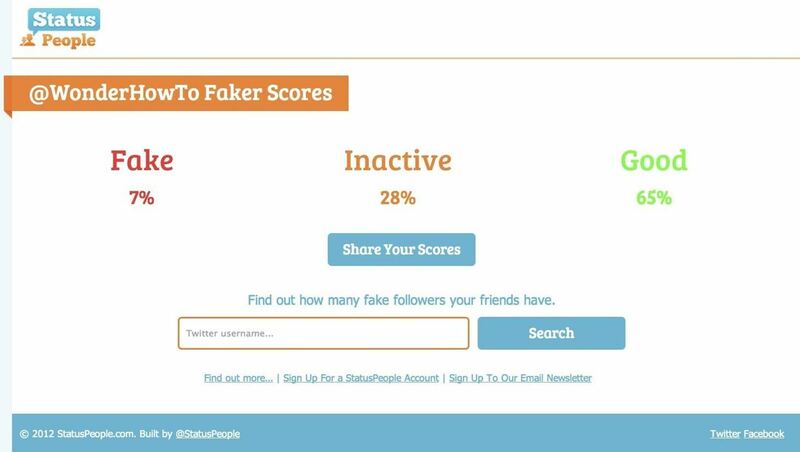 Social media management platform Status People has a free tool called Fake Follower Check that lets you check your own account, as well as other accounts, to see just how popular they really are. It tells you the percentage of followers that are fake and inactive. All you have to do is go to the site and click on Connect to Twitter, then enter your username and password. Once you've authorized the app, you can analyze any Twitter handle you want. We tried it with out own account here at WonderHowTo and got 7%. Not too bad, though we wish it were possible to know which of the users were fake! But are they really fake? One of the biggest metrics that would list somebody as fake with Status People is because they follow tons of Twitterers, but have little of their own. That's usually how fake profiles look, but I know some tweeters who don't really tweet—they just follow news. 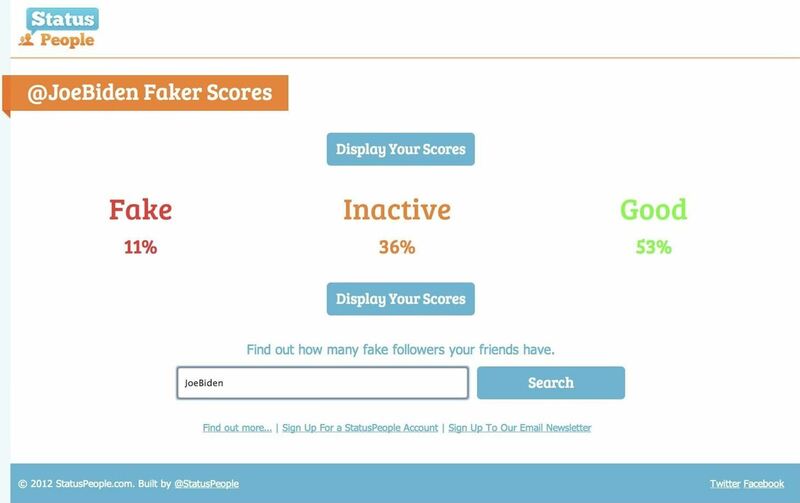 VP Joe Biden has a respectable 11% fake followers, but 36% are inactive. As the media has been reporting, both President Obama and Mitt Romney have millions of fake followers with Obama at 28% and Romney at 22% (most recently). And just for fun, we plugged in Justin Bieber, who had the most fakes of anyone we tried at 31%. You can have a lot of fun with Status People, so be sure to give it a try and find out if you (and your friends) are as popular as you think. Be sure to let us know if you find out anything interesting! Who can find the Twitter user with the most fake followers?